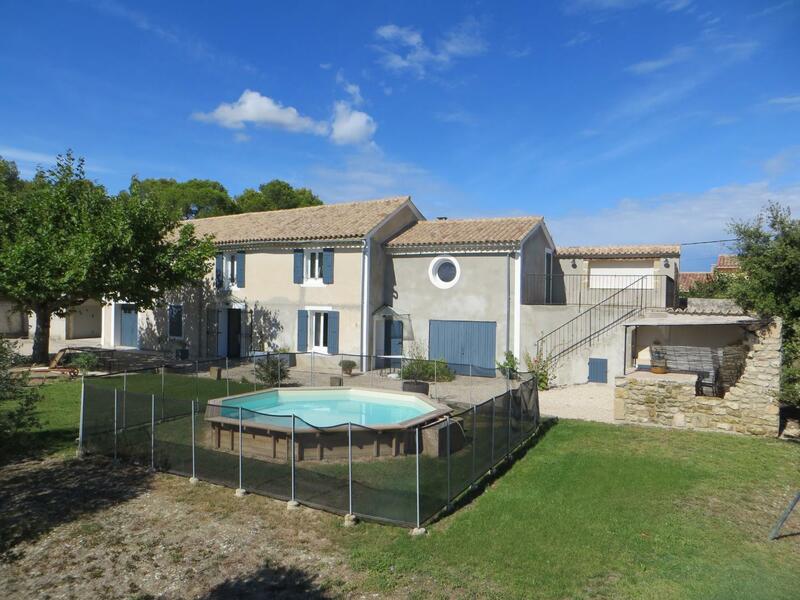 In the heart of the South Côtes du Rhône, pretty detached family farmhouse of the early twentieth, facing south and located on an eclosed ground of 2000 sqm, with oaks and olive trees. Orange is 15 km away. lawned area, private semi-buried octagonal pool (diameter of 5 m, 1.10 m deep, open from May to September), security alarm, deckchairs, parasols, climbing frame for children. Barbecue and gas plancha available.>br>2 terraces : 1 covered and the other sheltered by a plane tree. Private and enclosed car park. Garage available for a car or bicycles. On the ground floor : dining room / living room / kitchen area (TV, DVD player, microwave, dishwasher). Washing machine in a laundry room. Bathroom. Separate toilet. Fuel central heating (50 €/week). Possibility of final cleaning. Tourist tax in supplement. 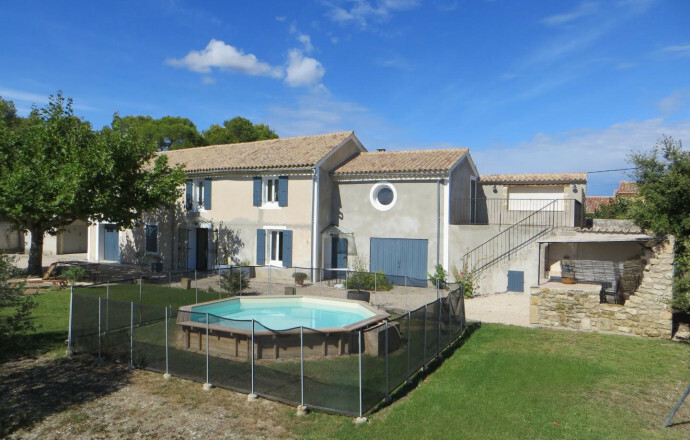 A 700 m from Sainte-Cécile-les-Vignes and not far from cultural and historical sites such as Orange, Avignon, Vaison-la-Romaine and others, without forgetting the discovery of Provencal markets. Bike lovers will have multiple choices near the farm.